Combat sports have been around almost as long as man, and boxing in one form or another has been in evidence since the Ancient Greek times. Now with so many bookmakers out there, bettors have endless options when it comes to boxing betting online, with countless ways to make money from the outcome of a bout. 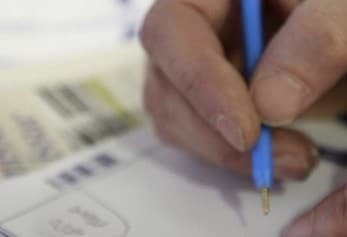 Some people like to bet on the straight winner, but inventive bookies now offer all sorts of bets that can make people big returns for relatively small stakes. Although there are variations by country and jurisdiction etc., for the most part, boxing around the world adheres to the Marques of Queensbury rules, first introduced by the British back in 1867. 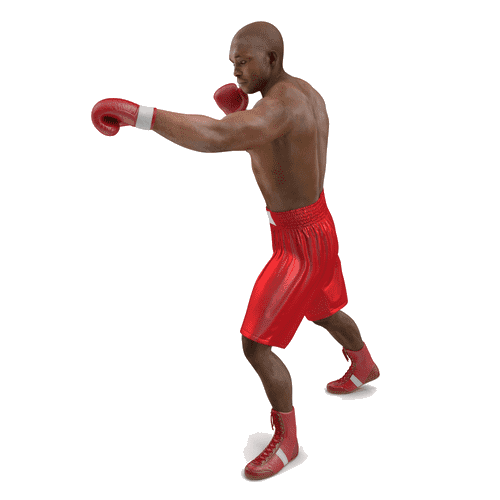 There are two fighters, who wear a mouthguard, cup and gloves (size depends on the weight of fighter), and they compete in a pre-determined number of three-minute rounds. The winner is whoever scores or knockout, or whoever is the victor on points by consensus of the referee/judges. There are usually three judges, who score on a ‘ten point must’ scoring system. Each round, one fighter must score ten points and his opponent will typically score 9 points unless he has been knocked down, at which point he will be awarded 8 points or less (depending on how many times he had been dropped). Championship fights are typically contests held over 12 rounds (36 minutes), with boxers getting one minute between rounds to rest. So there are the basics of boxing, and as you can imagine there are hundreds of boxing bets available. In the next section, we will teach you how to bet on boxing. Betting on boxing is straightforward and it is easy for punters to fall in love with boxing betting. As there are just two competitors who are trying to knock each other out, can there really be that many bet types? Well of course! There are three potential outcomes in a boxing match – either fighter can win, or the contest can end up in a draw if the scorecards are equal. The most common and oldest form of betting on boxing is the straight win. People pick the fighter they want and strike a bet. If he wins via any method, they collect. However, in just a two-runner race, the odds can be a bit distorted and not so attractive to the casual bettor if there is a rising star fighting an average Joe. Promising boxers will often stack their CV with victories by beating overmatched opponents at the early stage of their careers, and as such, the odds are prohibitive. Bettors often prefer to look elsewhere for a bit of value – for instance betting on which round the fight is going to finish, or whether it will end in knockout or by decision etc. There are also a variety of ‘exotic bets’ offered by many bookmakers, such as ‘Anthony Joshua to win within 60 seconds’, or ‘both fighters to be knocked down in the contest’. These are aimed to entice bettors who like long odds and excitement. Ultimately, everyone will have their own strategy when it comes to boxing betting. Whatever your strategy or favourite approach, there are endless choices. Naturally when looking and boxing betting and the odds, the shorter the price, the higher the implied probability of success. So when a fighter is 10/1 11.00 +1000 10.00 10.00 -0.10 to win a fight, expectations are obviously lower than if he is 2/1 3.00 +200 2.00 2.00 -0.50 . But upsets do happen! Perhaps the most famous instance is when Buster Douglas beat Mike Tyson at whopping odds of 42/1 43.00 +4200 42.00 42.00 -0.02 . Finding the best boxing betting odds requires checking the different bookies to see what prices they are offering. If one betting site has better odds for a certain bet than the rest, then it usually makes sense to use that bookmaker. However, it is always important to check staking limits for each bookmaker. If you stick with our top betting sites, you can be sure you’re getting the best odds. For the most part, betting sites will offer most of the same bets – such as the winner, the method of victory, round betting etc. However, those that concentrate on boxing betting will have extra markets such as round group betting, last punch to be landed and will the corner stop the fight? 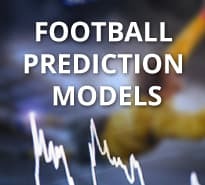 For those bets where other bookies don’t have the same market, you as the bettor should ask yourself – is the probability of this happening more or less likely than the probability implied by the odds given? For instance, if Fury to KO Wilder was 9/1 10.00 +900 9.00 9.00 -0.11 , that means the bookies think it is has a 10% chance of happening. Now, if you as a bettor think it is more likely a 20% chance, then you have got the best boxing odds, and should place a bet. – Are the fighters punchers/boxers/brawlers? How will their styles mesh? – Weight category. Is a fighter moving up or down a division? All these things need to be taken into consideration. Look for a different angle; a lot is said in media to hype a fight etc. but try and read in between the lines to find an edge. 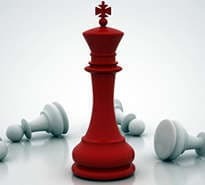 A fighter may say he is going to run in and trade with the other, but if he is a known backfoot fighter, it is likely to be bravado and won’t happen. In professional boxing, there are now 17 recognised weight categories, going up from 105lbs. At each weight, there are four widely sanctioning bodies that are widely considered to the legitimate ones. Each has its own world title belt, and boxing isn’t so much of a tournament, but more a game where the goal is to get high enough ranked to fight the world champion and take his belt. Having said that, there have been a few tournaments in recent years, with the very successful World Boxing Super Series just completed at Cruiserweight and Super middleweight, with Alexander Usyk and Callum Smith the respective winners. Security should be of paramount concern to every boxing bettor, and it should influence their decision when thinking about where to bet on boxing. Security can mean several things, from the integrity of the company behind the bookmaker to the strength of the encryption on the site. Choosing a bookmaker that has live boxing betting is important. Not all firms go live with their boxing odds, especially when the fights are on in the USA which means early hours in Europe. Why is it important for boxing betting to be live? Well, it gives you the chance to strike a bet in play if you wanted to see how a fight unfolded early, but it also gives bettors the chance to hedge their bets. If someone backed one fighter and they are dominating through 11 rounds, it may make sense to hedge by betting on the opponent at long odds just in case the unexpected happens and they come back late on. Live betting allows customers to lock in their profit. When looking for boxing betting odds, and where to bet on boxing, the quality of odds is obviously important, as is a range of other factors. 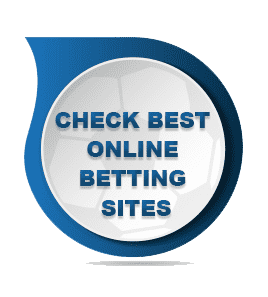 But it is important for potential customers to ensure that their bookmaker has several banking methods, and ones that are agreeable and accessible to them. Each firm will usually have a similar staple of major credit cards, bank transfers etc. and depending on which country the bookmaker is based in and which country the bettor is from, there are usually a variety of different e-wallets and prepaid cards available. Most bookies nowadays and in particular the best boxing betting sites will offer freebies and promotions for new customers. In particular, when there is a big fight, they will entice new players by giving them enhanced odds on certain fighters to win. When choosing a bookmaker, it is always worth checking out what bonuses and what boxing betting bonuses they may have available. Remember to always check the rollover requirements before committing though. A responsive, reliable and easy to navigate mobile feature is essential to boxing bettors when they are looking at which bookmaker to choose. After all, people are often down at the pub, or on their sofa when watching boxing and if they want to participate in online boxing betting, then they want to do so without having to move. Most sites nowadays are mobile-optimised and some have their own downloadable app for iPhone and Android. Boxing betting can be fun and add an extra thrill when watching a fight – what is better than cheering on your favourite fighter and making some money off his success?! There are a wide range of different markets that boxing betting fans can dabble in, whether they like betting on the knockout, the round the fight will finish or what coloured shorts a fighter will wear. 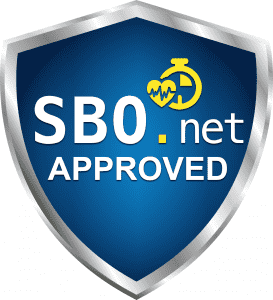 So, if you are looking for where to bet, check out our top-rated boxing site below. What is the Best Boxing Bet to Place? It depends what you like. If you want big returns for small stakes and fancy yourself as a clairvoyant, then bet on the round the fight will end in. Others like to bet on the fight outcome (decision, knockout etc. ), while there are bettors who just go for the straight winner. Can I Bet on Boxing Live? Yes. Many bookmakers now have traders working throughout a fight and you can often bet on the outcome up until a couple of minutes before the decision on the winner is made. Can I Use Paypal to Bet on Boxing? Sure. Many bookmakers accept Paypal as a deposit type when looking to strike a boxing bet. It will depend on what country the player is from and which bookmaker, but there are a decent number out there who have teamed up with Paypal. Do I Pay Tax on a Winning Boxing Bet? It will depend on the country you are in. If it is the UK, then the answer is no. Be sure to check your local jurisdiction's rules on gambling winnings.